Ninety percent of all cargo in the world is transported via the ocean, and 1 our of every 4 containers starts their journey through INTTRA’s portal. That’s a lot of weight to carry, but not for a company that’s already revolutionized shipping throughout the world. We’re already the world’s largest electronic transaction network for the ocean shipping industry, but with 50% of all global shipping still being done manually – there are still many opportunities for growth on the horizon. Our industry-leading transaction processing and analytics technology are essential to today’s shipping business processes and our SaaS-based products put the ocean at our client’s fingertips. We don’t just deliver products – we set the standard for today’s critical shipping business processes. At inttra, we recognize connecting ourselves to today’s students and tomorrow’s “Movers & Shakers” is as critical to our success as it is valuable to theirs. 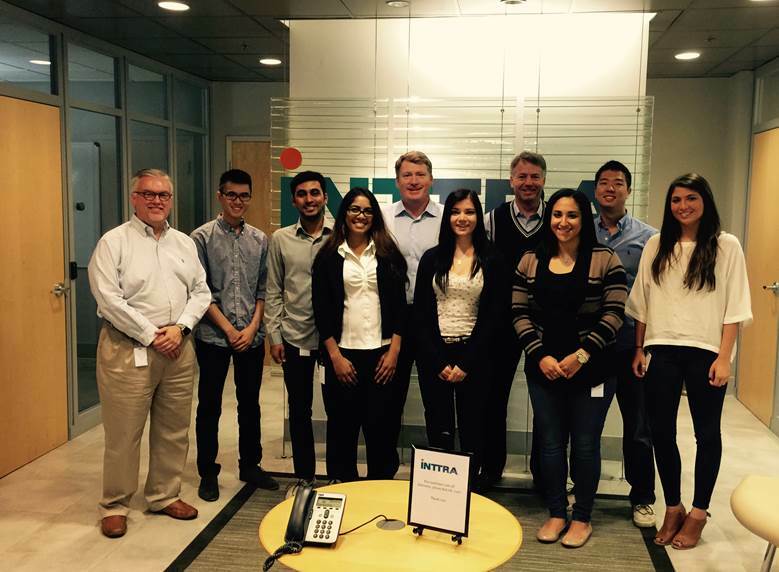 We have a 10 week Summer Internship program that immerses students into our culture and engages them in all aspects of our business. Interns work with us, play with us, and serve our community as well. If you’re a student who’d like to spend the summer getting invaluable real world experience with a global company that sets the standard in our marketplace — you’ve come to the right place. Nobody can do everything, but everybody can do something . . .
inttra employees support our community through a number of local organizations like DYFUS. Toys for Tots, and CAFS (Children’s Aid and Family Services) to name a few. In addition to these fund raising activities — we sponsor 2 “Days of SERVICE”. All inttra employees are eligible to use 2 work days to give back to our community. Each year we plan 4 independent group projects that every employee can choose to participate in, and every inttra employee is able to take another day to serve a charitable organization of their choosing.